Slow at getting new mugs – interrupted by life I guess. Lucky I am not trying to build an empire. Just trying to keep moving forward. Remember, “always forward”. 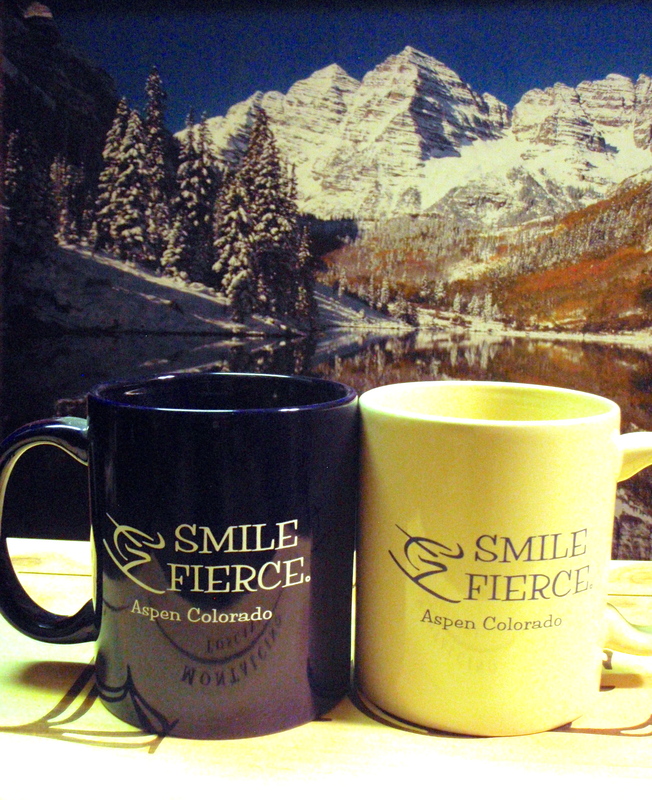 Here is a picture of the first two editions of the Smile Fierce mug. They are sold out. Well that, and given away to promote this idea, gotta get a little ‘buzz’ going. Now on towards new colors, with both the skier and the biker. Somewhere my nephew sketched a pretty cool idea for a snowboarder design too. I’ll have to find it, send it to my digital artist guy in North Dakota, finalize that design, and send it in for copyright. The biker design took almost a year to get approved, the skier took about 3 months. Hey, I’m gonna try and insert one of my Youtube videos (the Youtube channel is “theduluthdan”. Maybe just the link? Have to work on this technology thing I guess. Never Mind, as is true with many things in life, it isn’t as easy as it used to be. Picture won’t post !!! Oh wait… never mind. Bike Design Copyright, WooHoo ! If I could only remember how to insert a picture…. Crumps ! That’s what my mother says. Aspen Candy Company shuttered their store, and my favorite purveyor of Jelly Beans is, sadly, no more. It was marvelous while it lasted. On a related note, the guitar store where I spent many a noon-hour also closed up shop and moved their retail operation to Nashville. Crumps. But then, it snowed, the mountains were made more beautiful, the Aspen leaves turned shimmering gold, and my folks came to visit. 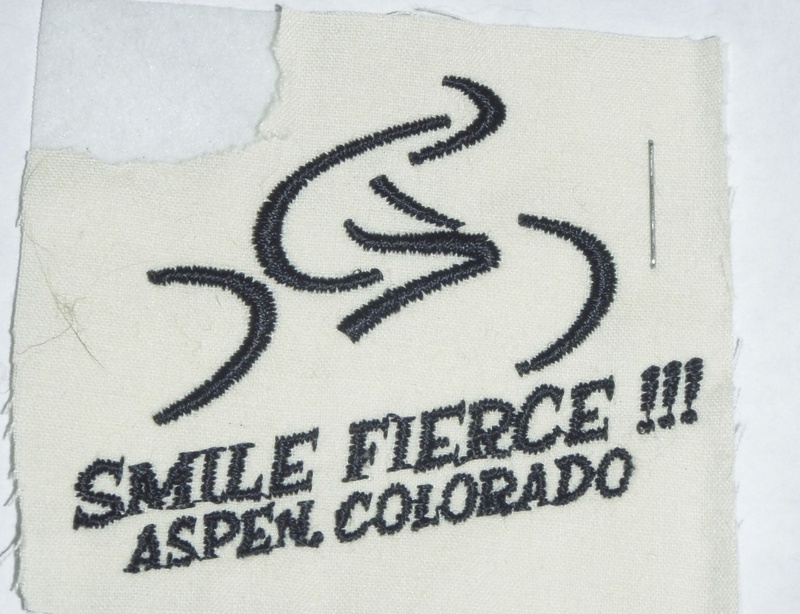 A pleasant Smile Fierce reminder. Next time you hear someone say “Grin and Bear It” Tell ’em yer gonna “SMILE FIERCE !! !” instead. Try it. Me thinks its time to start searching for a source of hats, or very useful stainless steel travel mugs. If someone gave you a tall stack of hundred dollar bills, would it matter if they weren’t all facing the same direction? Don’t let the details derail your day. Is there a hyphen in that word? I ask again, would it matter if the bills were not all facing the same direction? The passionate attitude – “Smile Fierce” ! If you visit Aspen in the winter, you are sure to understand.